Project Runway alum Christopher Straub is in town for the Capital Home Show this weekend, where he’s been tasked with, of course, a challenge: to create a runway look from items sourced from Home Depot. 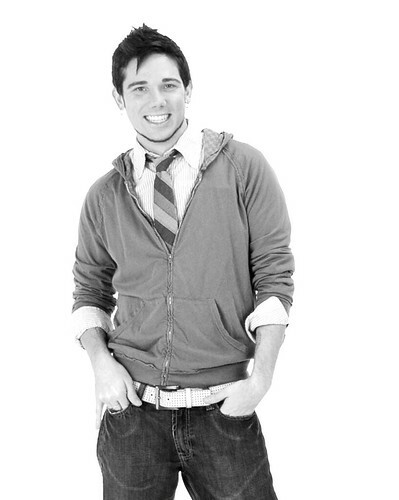 Christopher will be showing off his work with runway presentations on Friday at 1 pm and 7 pm and again on Saturday at noon. Leave a comment (entering your email in the form ensures I have your info, privately) with a challenge you’d like to see on an upcoming episode of Project Runway for a chance to win one of two tickets to the Home Show. Obvious number one question: what did you make the garment for the Home Show presentation from? Did you tell the folks at the home store what you were doing? Were they helpful, since you know, that’s their schtick? The items that I used were 2-8’x8′ tarps (green on one side and black on the other), roll of black Duct Tape, black spray paint, and a leather utility belt. Since I’ve been to Home Depot many times I know where most things are and don’t require much assistance when shopping…mostly, I just get in and get out. Fair enough. What’s been the biggest challenge of striking out on your own as a designer? Do you think Project Runway helped or hindered? Project Runway has been the biggest boost to my career. Before the show I was a struggling designer trying to make a name for myself and now I’ve had designs in People Magazine, Star, and US Weekly. Craziness! Have you ever been to DC? What are you going to do while here? I HAVE been to DC before! I bowl of cereal was $17 in the hotel I was staying at. Hopefully, I’ll get a chance to hit up a couple of museums while I’m in town. Well. Obviously, go to the Corcoran and see the Spencer Finch and Chuck Close shows! 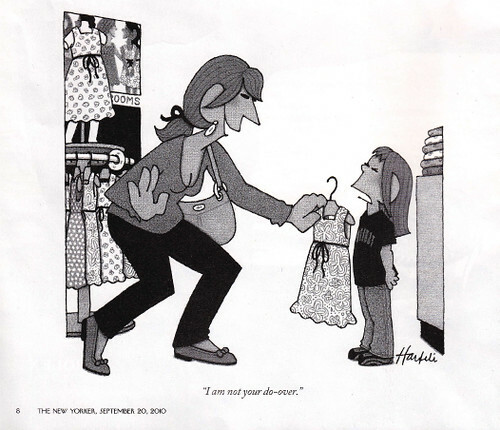 Have a favorite designer? Mine was, and will always be, Alexander McQueen. He was an artist and a true visionary. In what ways do you see interior design and fashion design as complementary? I used to be an interior designer and they share many common components. Balance and proportion are very important to both areas. Also, mixing and matching prints, patterns, and colors can make all the difference. Who’s the most interesting person you’ve met as a result of your time on Project Runway? It would have to be all the fans. Before I was on Project Runway I was an avid viewer and aspired to be like those people. Now, I have people coming up to me all the time saying that they get inspired by the show. I can totally relate because I was in their shoes just a couple years ago. What’s your next dream for your fashion career? I’d love to get my line picked up at a major retailer so the pieces can become more accessible to more people. To meet Chris, see his runway design, and check out the Home Show for free, leave a comment with a challenge you’d like to see on an upcoming episode of Project Runway for a chance to win one of two tickets. You have until 6:00 p.m. today – good luck! wear it while you can. 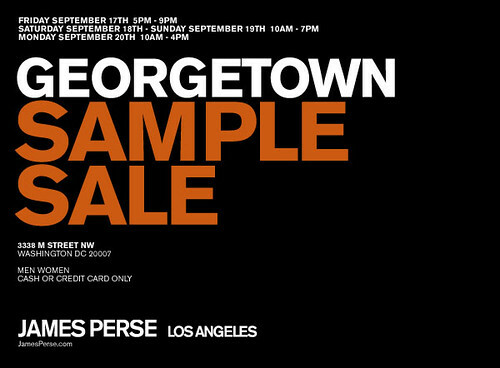 James Perse, known for their heavenly soft, layerable cottons, sets up (pop-up) shop in Georgetown this weekend, with prices as well-cut as their signature tees. Expect 50-80% off a mix of both warm and cool-weather merchandise for both men and women. Look for more than just tees ($22 or women and $20 for men) – samples are $40 and under, while gorgeously draped women’s dresses will be slashed to $59, and sweaters start at $89. Etsy is hands-down one of my favorite places to look for vintage online. Most everything is decently affordable, and while the small selection at shop Lucysvintagecloset is anything but, I can still drool over the incredible styling and photography.